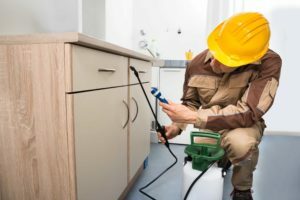 At Complete Pest Prevention, we recognize that people have different needs when it comes to pest preventative maintenance. That’s why we offer a variety of ways to help each individual client. We do one time treatments, quarterly, monthly and seasonal programs. We will help to find one that works for you. Not only that, we customize it specifically for the pest prevention you need. One size does not necessarily fit all. Not everyone has the same pest problems. A one time treatment is for people that don’t mind the occasional spider, or has an occasional yellow jacket or ant flareup and needs immediate treatment. Our Complete Seasonal prevention package covers primarily insect pests that are active from March through October. Monthly programs are primarily for business such as restraints and food processing facilities. Our quarterly service is more geared insects plus rodents for year around protection. Our Complete seasonal is our most popular prevention package, and we deliver services four times during the spring, summer and fall. Since today’s materials break down in the environment at 45-60 days, we make sure that protection stays in place in the high pressure months. An example would be April, June, August and October. The real benefit is with this program we respond between scheduled services if you have problems. Find a yellow jacket nest in a compost pile? Included. A mouse got in over the winter? Included. 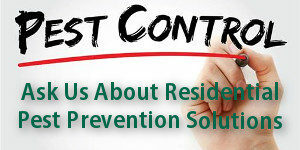 Whatever your situation Complete Pest Prevention has the solution. Let us custom design a preventative maintenance package for you based upon your needs, and what we know to be the most active times of the year for specific pests. Commercial & Residential Pest Control Experts Serving Tri-Cities, WA (Kennewick, Richland & Pasco), Benton & Franklin Co.